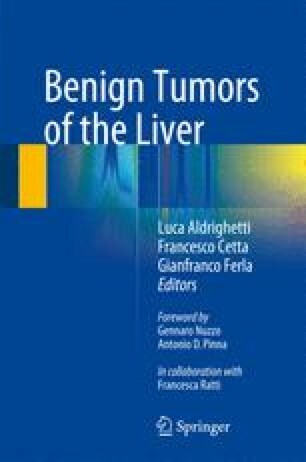 Focal liver lesion is defined as solid- or liquid-containing masses foreign to the normal anatomy of the liver that may be detected using imaging techniques. The hepatic localization of focal lesion in systemic nontumoral nor infectious disease is really uncommon. It may rarely occur in the course of sarcoidosis, and there are only anecdotal reports for liver involvement in course of other diseases such as extrapelvic endometrioma and cystic lymphangioma of the liver.